No matter what type of website you operate, it’s important to consider both form and function. To make money online, it’s important to create a website that’s aesthetically appealing, user-friendly, and innovative. Good web design can make your website stand out from the competition while presenting your products or services in the most appealing format, boosting sales. 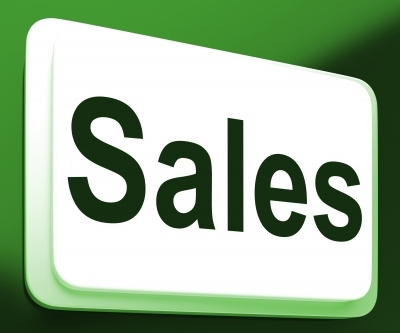 The following are five elements to include that can boost your website’s sales potential. One of the first factors to consider is how easy it will be for your potential customers to find what they’re looking for. You can make navigation easier by grouping products into logical categories, but it’s also important to integrate a search function into the website. Make this that this is bold and easy to find. Many online visitors prefer using a search tool rather than browsing, particularly if they’re short on time. You can guide visitors towards the products they seek with the use of an “autocomplete” option within the search box. If visitors don’t naturally type in the right keywords, this can guide them to the closest product your site offers. The shopping cart is another design element that should be displayed prominently on an ecommerce site. If a customer can’t easily find and amend their cart, they may quickly abandon the sale. Be sure that there is an area where a customer can clearly see what’s in their cart at any time, easing the transition from shopping to checkout. The customer is able to pay and checkout whenever they wish, without the need to go through too many extra steps. Use tools like contrasting colours to help make the shopping cart pop out. The images you use to illustrate your website can make or break it. This is one area where it’s worth working with local professionals to make sure your products are highlighted to their best advantage. If you run a sporting goods store in Portland, Oregon, choose a Portland web design team that will be able to place multiple images under each listing to show each product from every angle possible. Consider showing models using the products, or even incorporating videos to help visually-oriented consumers picture them in action. To get started in this example, you can find a professional who specialises in web design Portland at Shopify and then discuss how to best highlight your products with images. Not all visitors to your website will employ the same browsing technique, so you want to try and use a variety of navigation options to play up to these different shopping preferences. To do this, group your products by price, reviews, release date, or bestsellers, as well as by type. Getting a customer to put your products into their shopping cart is only half the battle. To make a sale, they’ll have to follow through with the checkout process. This is where it’s easy to lose sales, if the checkout process is too convoluted or lengthy. It’s best to fit it onto a single page if possible, as single-page checkouts have the highest rate of success. Give customers the option to save their information for later, while showcasing your site’s security on this page as well. By incorporating these basic design elements, you can improve your website’s visibility and boost sales at the same time. Great tips, Erik Emanuelli. I especially like the ‘Simplify the Checkout Process’ tip. I’ll be knocking that one out in a couple of weeks. Thanks! In eCommerce website one should use multiple images for products. In addition there a great idea to put a video of your every product so your customers will know what they are actually going to buy. Thanks for sharing these intuitive designing tips. These tips really help me to get me fixed on. I agree with you on all the points, especially first one about search tool. Most of the people who visit website are likely searching for information. Make it easier for your visitors to find what they need by including a search function on your website. Fantastic tips ! Your blog helped me a lot in getting best ways on how to obtain best e-commerce sales. All points are very well described in readable manner and neatly. Glad you shared this article. Great tips. This is really helpful tips for me.Specially your “Use Multiple Product Images” tips help me to make my e-commerce website user friendly. Glad that you shared your knowledge with us.